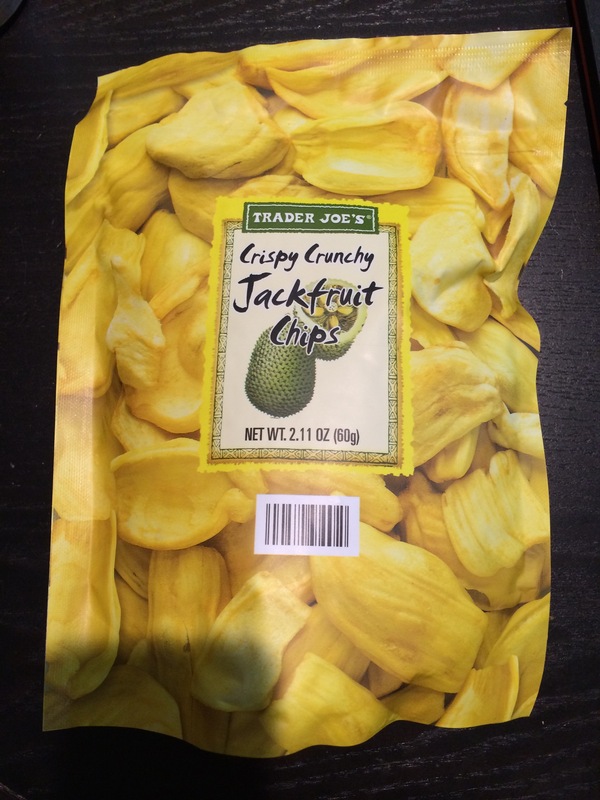 Jackfruit chips – a great snack. Have you tried them? 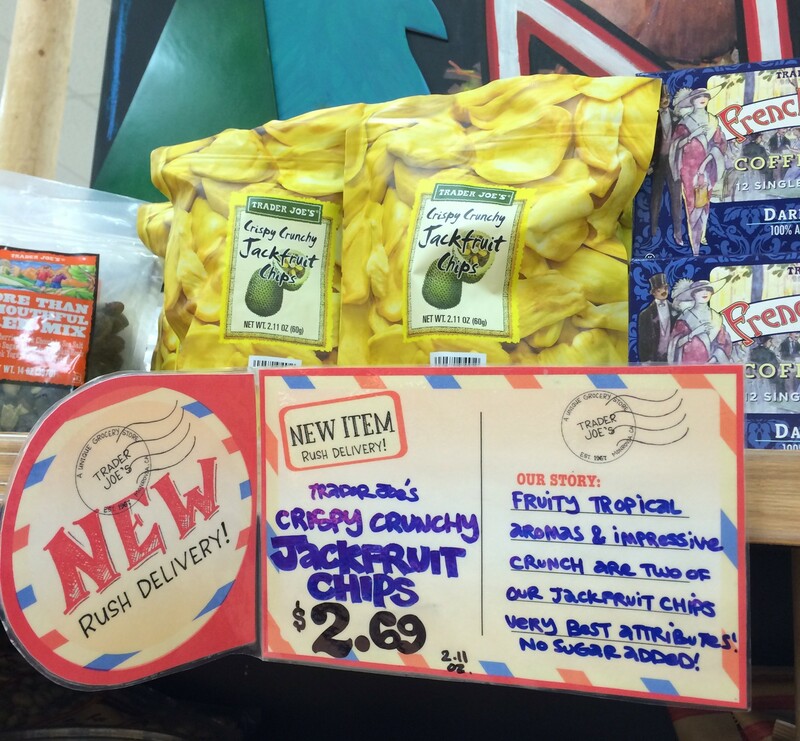 While shopping at Trader Joe’s, I noticed a new item, Crispy Crunchy Jackfruit Chips. I have had jackfruit chips before, but had always got them at Asian stores, so it was a pleasant surprise to see them at Trader Joe’s. I don’t think I have ever tasted a raw jackfruit. 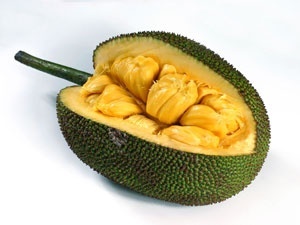 I looked up more info on jackfruit and found that the fruit is native to South and Southeast Asia, and is believed to have originated in the southwestern rain forests of India. 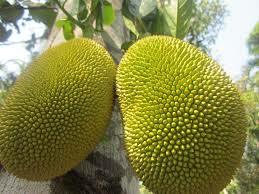 Thailand and Vietnam are major producers of jackfruit. The fruit is made of soft, easily digestible flesh bulbs. For the chips, the flesh bulbs are somehow dried to make crispy chips. I love the taste of them! They are sweet and crunchy. A tropical taste, it’s hard to explain. Some describe it as a mix of mango and banana. All I know is that I like it! They’re addicting. My kids like the chips too! I think it’s a great snack! 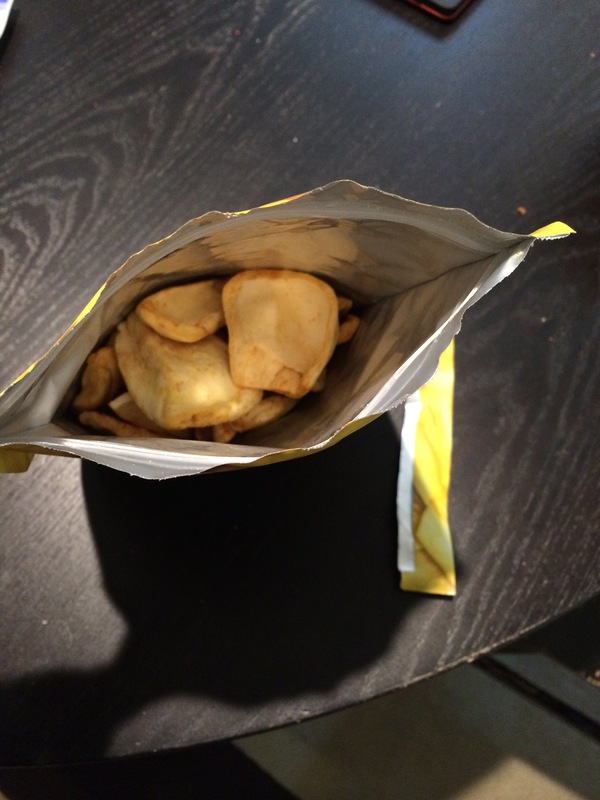 The bag is filled about half way. I wish there was more in it…lol. Looking at the label, there’s only two ingredients, which is nice! Jackfruit and rice bran oil. I wasn’t sure what rice bran oil was and found out from wikipedia that it is the oil extracted from the hard outer brown layer of rice after chaff (rice husk) and can be good for your cholesterol. There is a lot of sugar but there’s no added sugar. Half the total fat is saturated fat but at least the serving size is the whole bag. There is no Trans Fat, which is good. 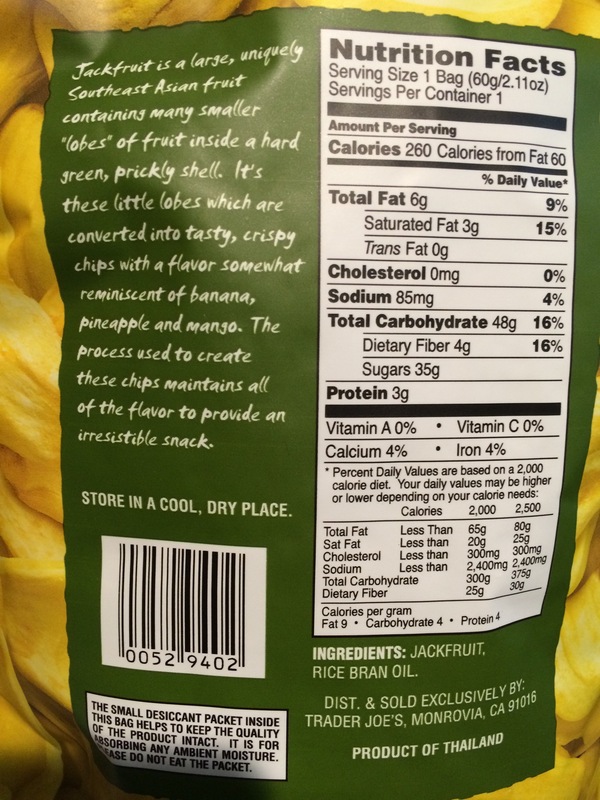 Have you tried jackfruit chips or raw jackfruit? What’d you think? Hahaha! Trader Joe’s does have great snacks! 🙂 Great idea making your own trail mix. I’ll have to check out their fig butter.